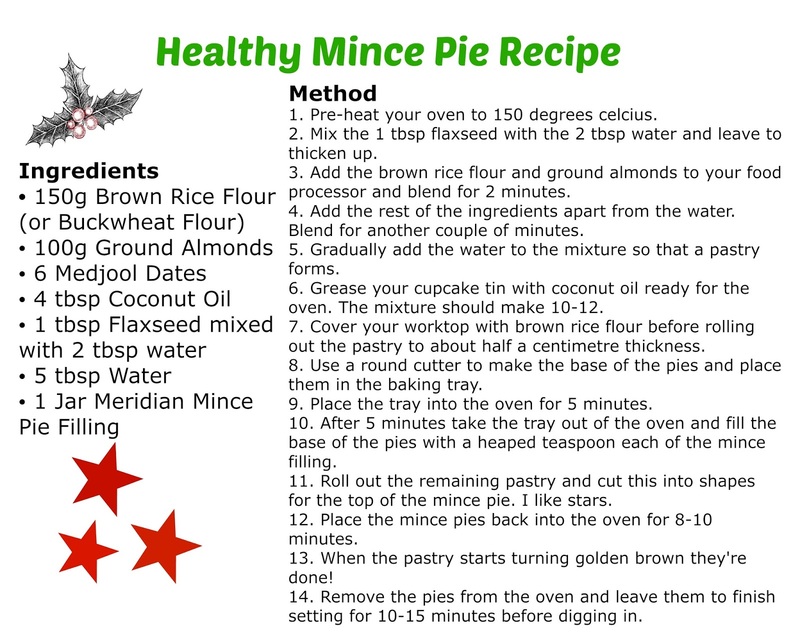 I couldn't let the festive season pass without sharing a mince pie recipe. Before I started my healthy lifestyle journey I loved a good mince pie with cream, but sadly the supermarket pies are totally crammed full of sugar, syrup and preservatives. They're also not vegan or gluten free. 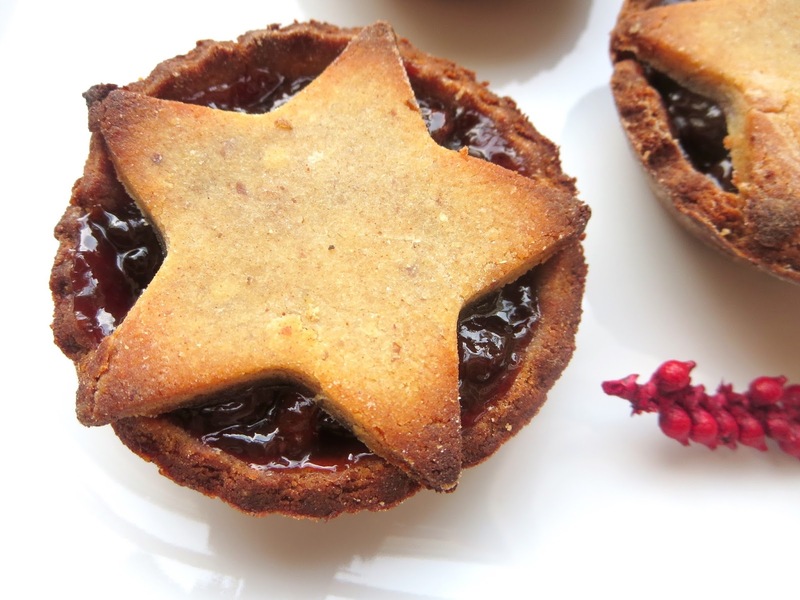 My mince pies are not only refined sugar free but they don't contain eggs, dairy or gluten and you don't need masses of ingredients to make them either! Now, I have cheated slightly and bought the pre-made mince pie filling from Meridian (available online and in health stores including Holland & Barrett). It's gluten free, refined sugar free and vegan! I just thought it was such an easy way to do it, but there's an amazing recipe for filling here if you'd like to make your own. The pastry is made using brown rice flour and ground almonds, which creates the most wonderful pastry that tastes so rich and indulgent. They're sweetened only with medjool dates which obviously are all natural and won't give you a nasty sugar spike! I've also included 1 flax 'egg' which holds everything together and gives you an omega-3 boost, as well as wonderful healthy fats from the coconut oil. 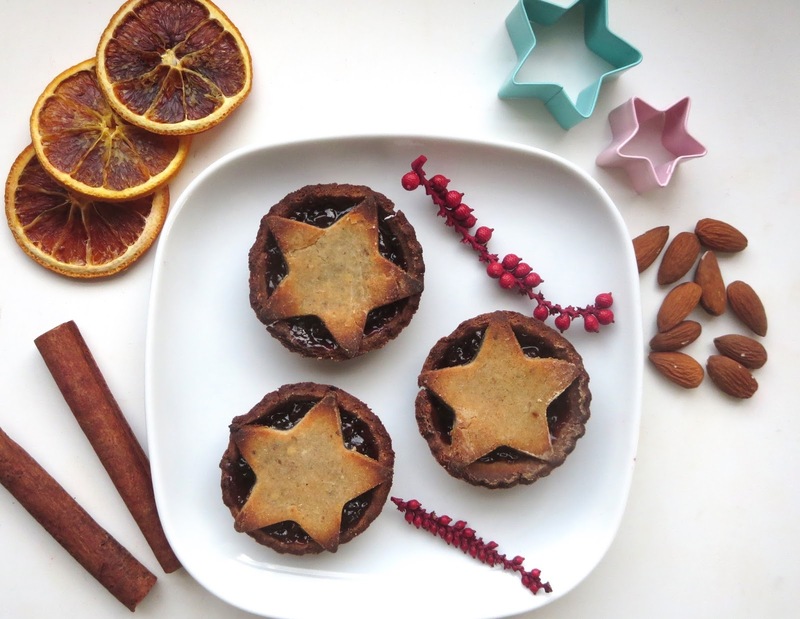 Nutritional powerhouse mince pies...who'd have thought?! These mince pies are honestly so rich and flavoursome, bursting with amazingness and don't taste like they're healthy. You can eat these beauties with a cup of tea, feel like you're having a festive treat but know you're giving your body goodness in the process. I love to have one with a bit of coconut yogurt on the side, vanilla is the best!